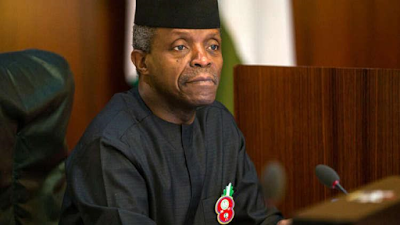 Acting President Yemi Osinbajo, SAN, has again assured Nigerians that the Buhari administration is not deaf to grievances in many parts of the country. He disclosed that the government will address them, while urging that such grievances be expressed with grace. This is contained in a statement on Tuesday by Laolu Akande, his spokesman. The statement provided highlights of the series of consultations the Acting President had with leaders from the North, Southeast and the media over the last two weeks, between 13 June to 22 June 2017. It noted that, “the meetings were convened to provide a platform for frank and open discussions between the concerned stakeholders and by extension the Nigerian public on issues relating to the unity, peace and security of country. Presidency said in response to the recent spate of agitations pitting some groups in the North against others in the Southeast, Osinbajo held the following meetings: Northern Leaders of Thought: Tuesday 13 June, 2017;Southeast Leaders of Thought: Wednesday 14 June, 2017; Southeast Traditional Rulers: Sunday 18 June, 2017; Northern Traditional Rulers: Tuesday 20 June, 2017; All State Governors: Wednesday 21 June, 2017; Media Publishers and Editors: Thursday 22 June, 2017. It said the meetings touched on various issues relating to the ethnic agitations that had manifested most recently in a call for secession by some groups of youth from the Southeast, and an ultimatum by Northern youths for south-easterners living in the North to leave the region by 1st October 2017. It added that the meetings established common ground on a number of issues, as follows: “Condemned all the hateful and divisive rhetoric by the concerned groups of Northern and Southeastern youths. “Affirmed the primacy of the Constitution of the Federal Republic of Nigeria, the ultimate basis for the unity of Nigeria. That Constitution guarantees freedom of residence and of movement for all Nigerians anywhere in the country, without fear of discrimination or prejudice. “Affirmed the need to draw a line between the freedom of expression guaranteed by the Constitution and the degeneration of such expression into hateful rhetoric, prejudice and hatred. Under no circumstances will Government condone or tolerate hate speech in any way or form. “Affirmed the necessity of confronting all grievances and frustrations head-on, however uncomfortable that might seem now; instead of ignoring issues and allowing them to fester. “Affirmed the need for all leaders and elders, regardless of political or ideological persuasion, to speak out more forcefully to counter divisive and hate speech and any form of warmongering. “The Acting President expresses appreciation to all the leaders for their time and commitment to the unity, peace and progress of the Nigerian nation. He also assures the Nigerian people of the determination and resolve of the Buhari administration to ensure their well-being and security at all times. “The Federal Government will continue to actively engage with Nigerians of all shades and opinions in its bid to move the country forward on a path of socio-economic development and ultimate greatness”.